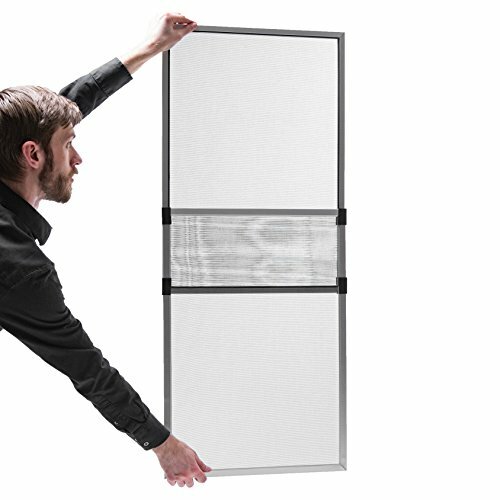 This Bypassing Adjustable Window Screen is easy to install in seconds without the need of tools or fasteners. It can be used in wood, metal or vinyl double hung windows. The screen has a 5/16 inch (7.9 millimeter) mill finish frame with WHITE square cut corners, fiberglass screen wire, and black retainer spline. The unit comes completely assembled, so all you need do is place in the window opening and adjust the width. These adjustable screens can be adjusted from approximately 19-3/4" to 37" inches wide.